Employees ain’t cheap. When you take into account the cost of training, benefits, and of course the salaries themselves, your employees are likely by far your greatest expense. Let’s say that the area you operate in is large, geographically. In that case, it doesn’t make sense to have all of your drivers responsible for making stops across your entire territory. You’ll be able to save time, visit more prospects, and make more sales if divide up your territory and assign drivers to specific sections. That can be a complicated task to manage, though – unless you have the right software. Route4Me’s sales mapping software allows you to divide all your assignments evenly among your sales reps with just the touch of a button. You can draw a territory, name the territory, choose a color for its display on the map, save regions as groups, and plan routes based on the selected territory. You can also add an unlimited number of territories by repeating the process, draw overlapping territories, and hide or display a specific territory on the map. Here’s another feature: you have the ability to zoom in on areas and see more details, such as customer types or assigned sales reps. This helps you keep track of all the little details related to your sales operation, which allows you to make informed business decisions. Our software is cloud-based, so your sales team can collaborate with the home office from anywhere and at any time, as long as they have an internet connection. This constant availability makes sales operations more productive, and more productive sales operations are more profitable sales operations. Leads are the lifeblood of every sales process. Having leads isn’t enough to succeed, though. You need to find a way to convert those leads into actual paying customers. According to MarketingSherpa, 79% of leads never convert to sales opportunities. Also, according to a study conducted by Implisit Insights, a data automation firm, only 13% of leads convert to opportunities and only 6% of opportunities convert to deals. One of the biggest reasons for these low figures is that leads aren’t prioritized. You might have an idea of what your best leads are, but without any guidance or tools, your sales reps will end up spending the same amount of effort on all leads. However, you can eliminate this effect by adopting an advanced tool, such as route mapping software. Our map routing software comes with a color coding feature that allows you to identify hot and cold leads with just a quick glance at your map. 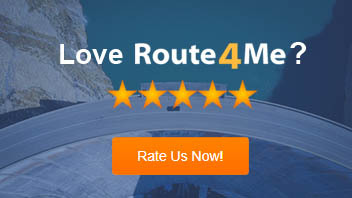 Route4Me also has an interactive map feature that shows you where you’re performing well and where you’re not. With this information, your sales team will know where they should focus their attention, and you can prioritize leads accordingly so that your sales reps focus on the right customers at the right time. From customer relationship management apps to route optimization software, there are many tools available to you that could help streamline your sales operations workflow. But, these tools will only really help you out if you opt for an SaaS-based tool. Because the biggest advantage with SaaS (Software as a Service – AKA a form of the cloud) tools is that you can access them from anywhere and at any time with zero machine dependency. 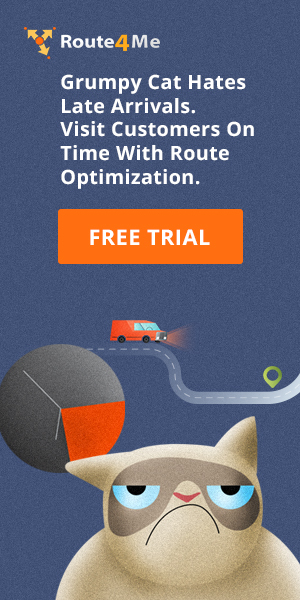 Your field sales reps can access the data they need while they’re on the road, and if you have to make a last-minute change to a route after a driver has left the depot, that change will be automatically synced and updated on your driver’s phone. Communicating route details is easier than ever before. Everyone likes games, right? Work, however, isn’t as popular. People generally don’t like going to work. But if you can find a way to turn work into a game, your employees won’t dread going to work as much. They might even learn to enjoy it. And happy workers, of course, are more productive than unhappy workers. That’s called gamification, and it’s one of the best ways to keep your employees engaged. According to a study conducted by the Corporate Leadership Council, engaged businesses’ profits increase three times faster than their non-engaged competitors’ profits. Also, employees who are engaged are 43% more productive than non-engaged employees, per a study performed by the Hay Group, a global management consulting firm. Rewards, recognition, and a sense of competition does wonders to keep your employees motivated at work. In fact, according to research by the staffing network Idea Connect, a recognition program can boost your company’s performance by up to 44%. According to Salesforce, 90.4% of the gamification initiatives are reported to be successful. Corporate juggernauts like Comcast, Stanley Black & Decker, PayPal, and SAP have already started using gamification to inspire their sales teams. Also, according to a report by the Pew Research Center, 53% of technology stakeholders said that the use of gamification will become widespread by 2020. So if you don’t adopt gamification now, you’ll be at risk of falling behind your competitors and maybe losing some of your best customers in the near future. Gamification can take many forms, but it often includes a leaderboard-style competition in which sales reps compete to be the first to reach a certain goal. This key element is what enables gamification to motivate rather than distract. Fortune 100 companies, including AT&T and General Electric, spend over a billion dollars a year on employee education programs. You should take their lead, as investing in educating your employees will improve your sales operations. A well-educated workforce will bring new and exciting ideas to the table, which will reveal ways to improve your profit margin that you never would have thought of yourself. Educating your sales team will also ensure that your team is satisfied working for you, which will boost team morale. 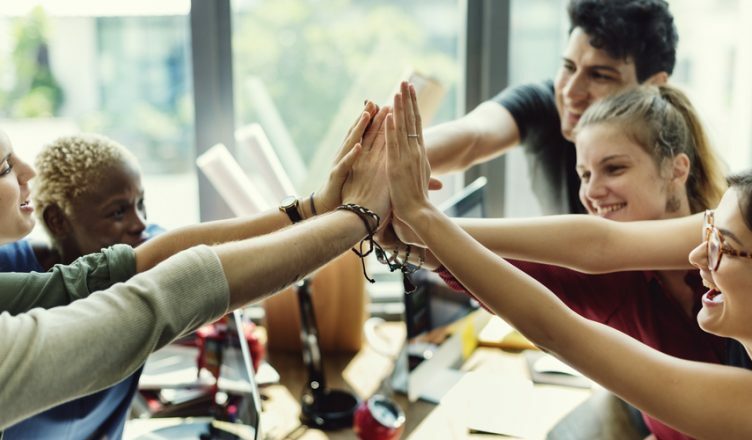 According to a survey by Westminster College, 32% of employees said that boosting morale at work is an effective way for employers to improve their performance. And according to a survey by Market Tools Inc. (currently known as MetrixLab), 20% of employees indicated that career development opportunities and training make them more engaged at work, and 23% said it sparks better performance. In addition, according to a report by CareerBuilder, 25% of employers witnessed an improvement in customer loyalty after increasing their educational requirements. So, what sales operations best practices do you follow? Have you already implemented any of the methods mentioned in this article? Let us know in the comments section below.